When you need express care for a non-life-threatening injury or illness, turn to Davam Urgent Care in The Woodlands, Texas. We offer area residents a healthcare solution that is affordable, convenient, and high in quality. Unlike the freestanding emergency rooms that are common in this area, Davam Urgent Care provides reasonable, straightforward pricing. An appointment is never required to get the treatment you need at our facility. And, our health clinic is open seven days a week from 8 a.m. to 9 p.m., making it ideal for busy students, working professionals, and families who want comprehensive care without the hassle and inflated expense. You’ll be seen by a highly experienced, board-certified provider who is committed to your care. You can receive diagnostic services, such as X-rays and lab tests, at our facility. You can receive express care for virtually any non-emergency medical issue, including a fever, bone fracture, allergic reaction, or STD. You can receive convenient general medical services, such as a physical exam, hearing test, or immunization. 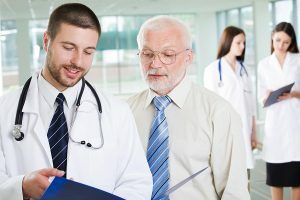 If you are looking for fast, effective medical treatment from a compassionate doctor in the Woodlands, TX, the express care services offered at Davam Urgent Care are the perfect solution. If you’re planning a visit with us today, sign in now using our online check-in system, which may reduce or even eliminate your wait time at our facility.